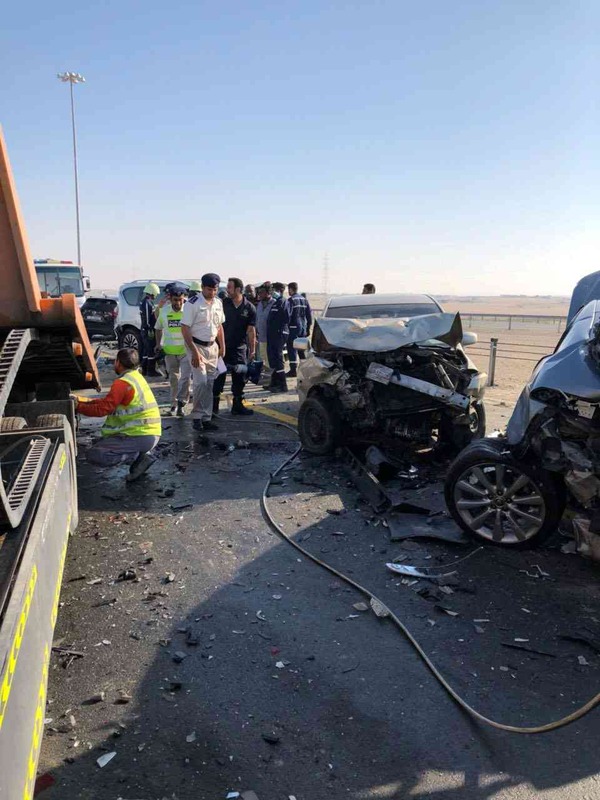 Twenty-two people were injured when dozens of vehicles collided in heavy fog outside Abu Dhabi city. 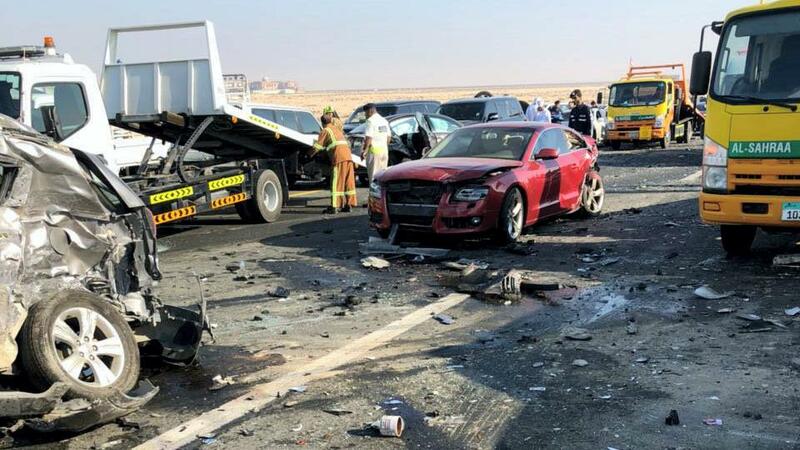 The major road accident was captured on video by commuters on Tuesday. 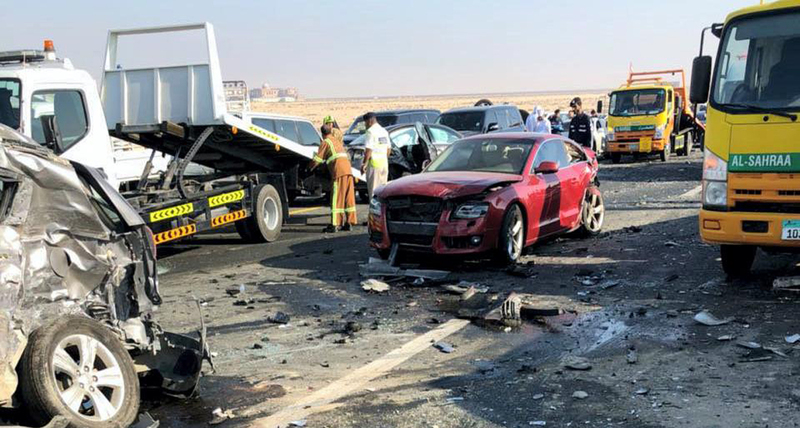 The crash on the E311, Sheikh Mohammed bin Rashid Road, happened about 8 am as visibility reduced to just a few meters. Commuters are seen leaving their cars and climbing over the barrier to escape as vehicles pile up.